In 2016, more than 53 million vehicles were recalled in the United States – a record high. In October of this year, Playtex recalled 3.6 million defective children’s plates, cups and bowls. There have been multiple food recalls this year, citing anything from possible listeria contamination to misbranding to “products produced without benefit of inspection.” When products are recalled, manufacturers provide information about the affected items to help consumers determine whether or not the products they purchased are subject to the recall. This information might range from physical descriptions of the products to lot numbers or even unique serial numbers, such as an automobile’s vehicle identification number (VIN). As of October 25, 2017, there have been 31 defective medical device recalls this year. 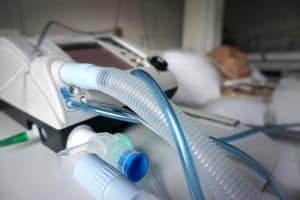 One recall in May involved a ventilator that could shut off without warning; another recall in June involved a diagnostic testing system that could give inaccurate results. Both of these devices and many others on that list had serial numbers that could be used to determine whether a particular patient’s device was part of the recall. Because of the scope of the regulation, UDIs are being phased in over the course of seven years, ensuring that all devices and their packaging are in compliance by September of 2020. Of course, if a medical device is implanted in the patient’s body, it is not enough for a UDI to be printed on the original packaging. In order to use UDIs to identify patients who have a defective device or implant, some record of the UDI must be kept where the patient, the doctor, or the insurance company can access it easily. “In 2005, former Minnesota device maker Guidant Corp., now part of Boston Scientific, urgently recalled thousands of pacemakers because excess moisture could seep inside the life-preserving devices and ruin them. There is plenty of support for ensuring identification numbers of medical implants can be used to locate patients affected by a recall. Organizations such as the Centers for Medicare and Medicaid Services and patient-safety advocates contend that including UDIs in Medicare claims and health-insurance bills would make it easier to identify patients with the recalled devices without being required to search through extensive medical records to find the device information. Device manufacturers claim that including UDIs in patients’ health records is sufficient for tracking patient outcomes and conducting postmarket surveillance, and they have resisted including the codes in claims forms, which they argue would be expensive to implement. To recap: We have a law in place that requires devices and their packaging to be labeled with unique identification numbers, but those numbers are only as good as they are easily accessible. Easy, simplified access to the identification numbers for our implants and medical devices would be good for all of us and may help save lives in the event of a recall for a product defect. Harris Lowry Manton LLP is a premier personal injury and medical malpractice law firm in Georgia. Our team has the skills, resources and experience to handle complex claims arising from defective medical devices. To learn more about our services, or to speak with an experienced attorney, please fill out this contact form, or call one of our offices: in Atlanta, 404.998.8847; in Savannah, 912.417.3774.